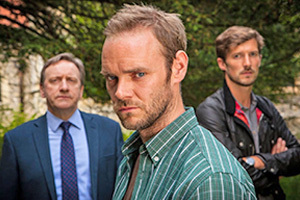 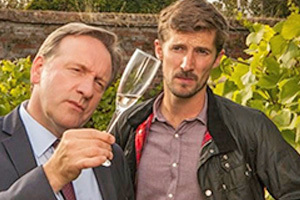 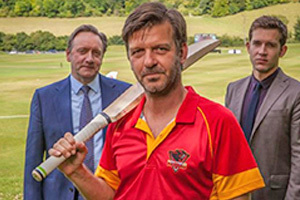 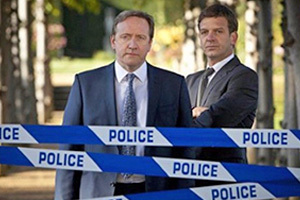 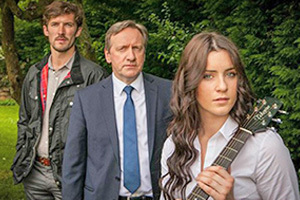 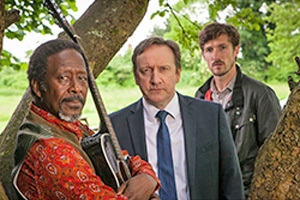 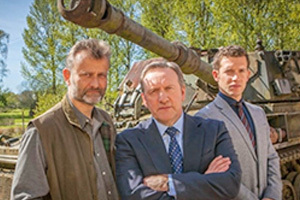 Midsomer Murders is a British TV detective drama that's been a fixture on ITV since 1997. 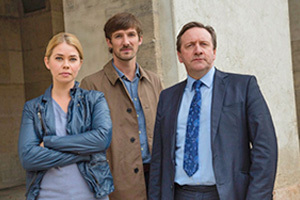 The show is based on Caroline Graham's Chief Inspector Barnaby book series. 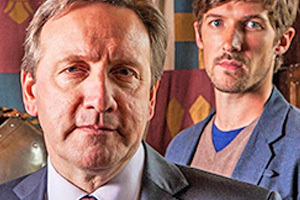 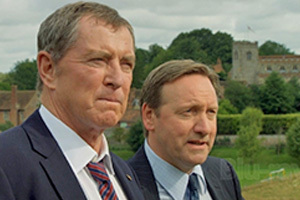 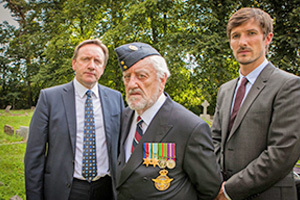 The current lead character is DCI John Barnaby (Neil Dudgeon), who works for Causton CID. 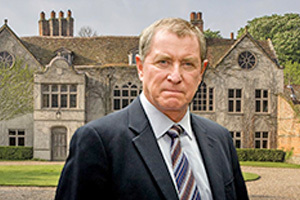 Dudgeon's character is the younger cousin of former lead character DCI Tom Barnaby (John Nettles). 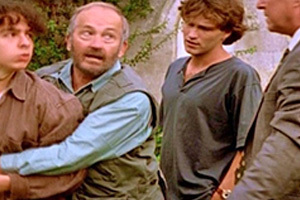 Dudgeon first appeared as lascivious gardener Daniel Bolt in the Series 4 episode "Garden of Death". 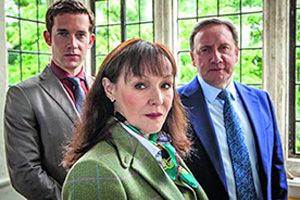 Dudgeon permanently joined the show in 2011 after Nettles' departure. 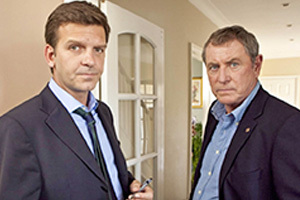 Anthony Horowitz and the original producers — Betty Willingale and Brian True-May — created the series. 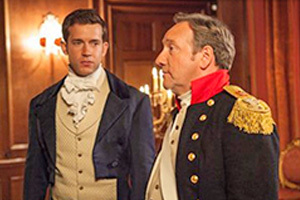 Horowitz adapted most of the early episodes from the original works by Caroline Graham. 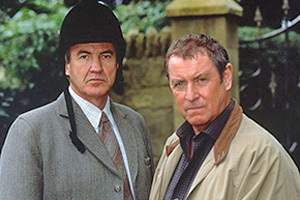 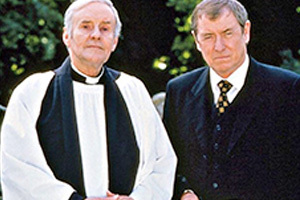 Actor John Nettles retired at the end of 2010, after the 13th series of eight episodes; his last episode was "Fit for Murder". 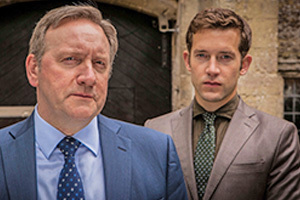 Neil Dudgeon replaced him in the 14th series, playing Tom Barnaby's cousin, DCI John Barnaby, who is first seen in the episode "The Sword of Guillaume". 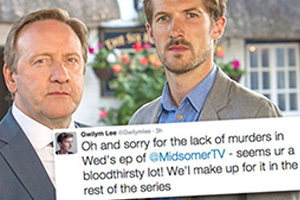 Midsomer is a fictional English county. 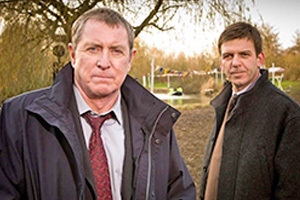 The county town is Causton, a middle-sized town where Detective Chief Inspector Barnaby resides with his wife, and where the Criminal Investigation Department is headquartered. 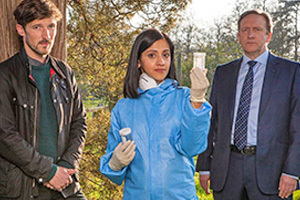 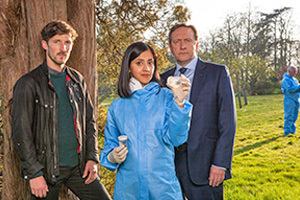 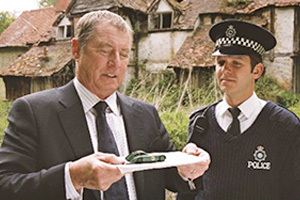 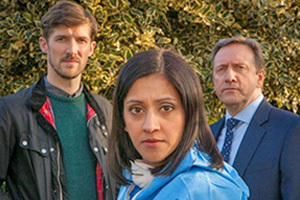 Much of the popularity of the series can be traced to the sudden violence that erupts Midsomer's picturesque and peaceful rural setting. 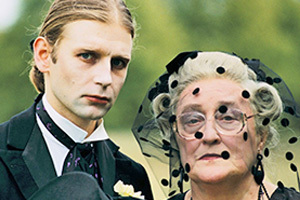 Individual episodes focus on institutions, rituals, and customs that are characteristic of rural English counties. 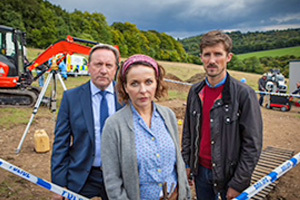 Many of the villages and small towns of the county have the word "Midsomer" in their name; this is partly inspired by the actual county of Somerset, in particular the town of Midsomer Norton. 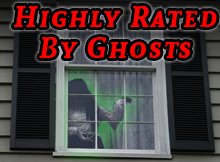 It became a naming convention within the show. 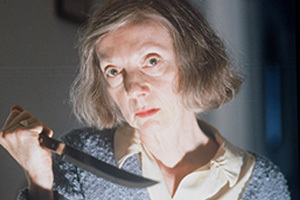 When Mrs. Barnaby proposed that they move out of Causton and suggested various villages, her husband countered with reminiscences of especially grisly murders in each community. 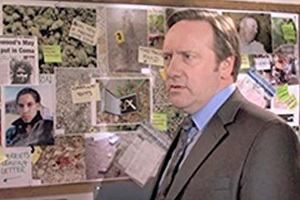 In similar fashion, when Sgt. 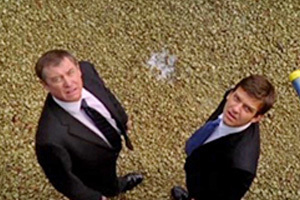 Dan Scott asked if the body count was, "always this high around here, sir? 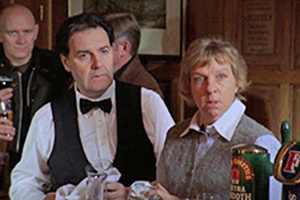 "; Barnaby answered, "It has been remarked upon."